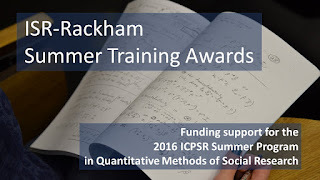 The ISR-Rackham Summer Training Awards are meant to support University of Michigan graduate students in the ICPSR Summer Program. 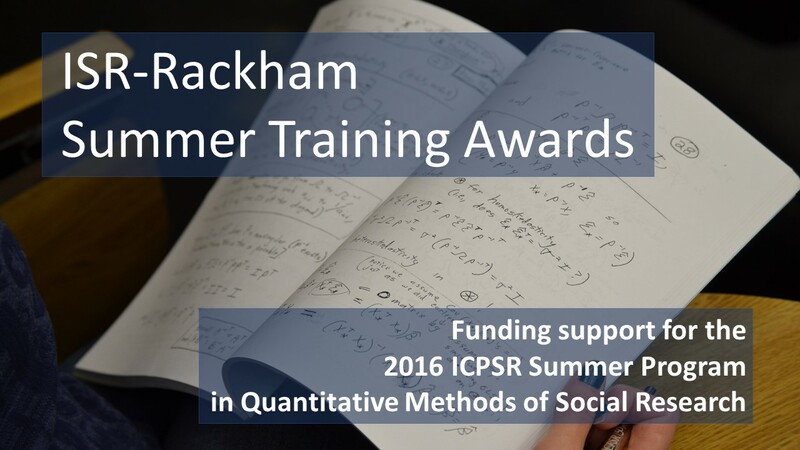 These funds are limited and available to doctoral students across all Rackham divisions. Applications due March 1, 2016.